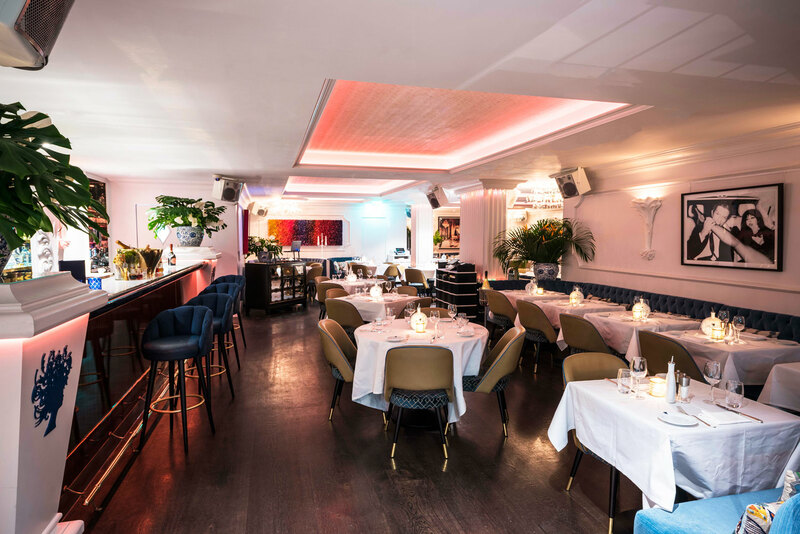 Simon Wittenberg kicks off 2019 with Saturday brunch at the contemporary French-Mediterranean restaurant on Mayfair’s Dover Street. 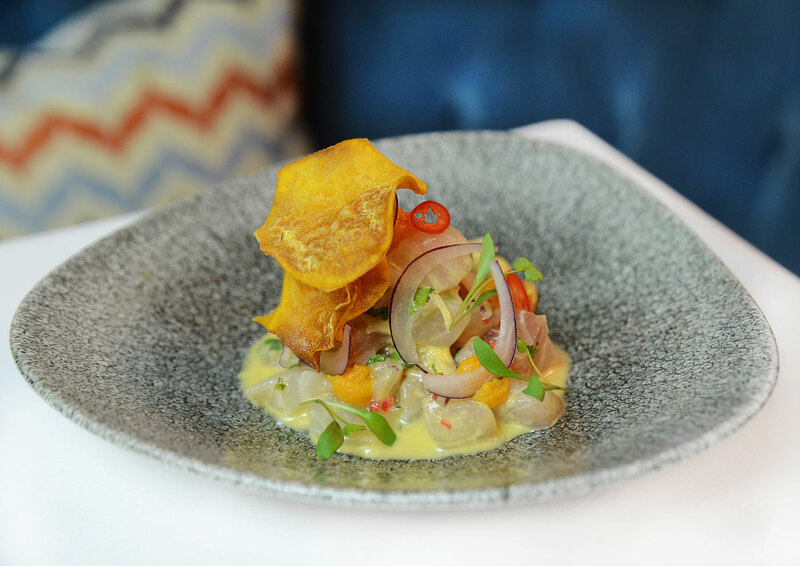 London is the eleventh eatery to have opened its doors within the Bagatelle group, which was founded in New York in 2008 by global entrepreneurs and business partners, Aymeric Clemente and Remi Laba. 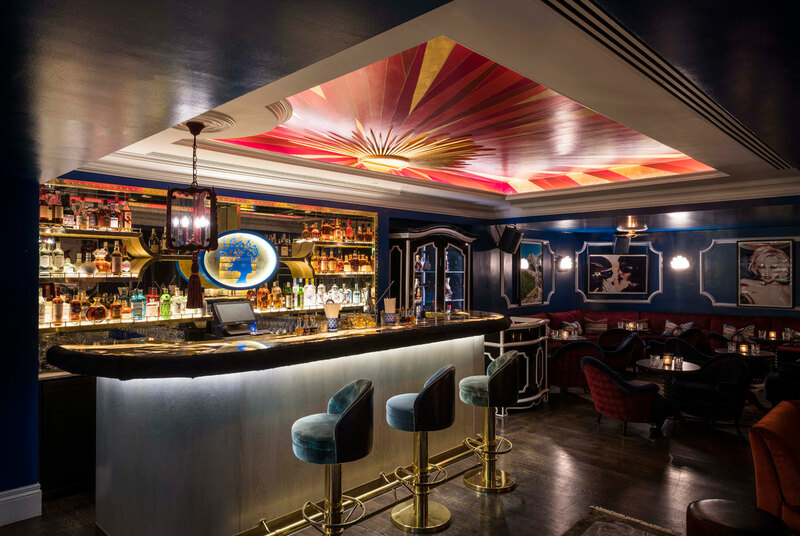 Formally launched in May 2018, the Mayfair venue seats well over 100 guests at a time, and is reminiscent of a bustling Bistrot, whilst also taking design cues from the style of a Haussmannian Parisian apartment. The standout feature of the interior décor, which is fairly neutral with a few pieces of art lining the walls, is undoubtedly the “bird cage” which towers over the staircase near to the rather unassuming entrance. 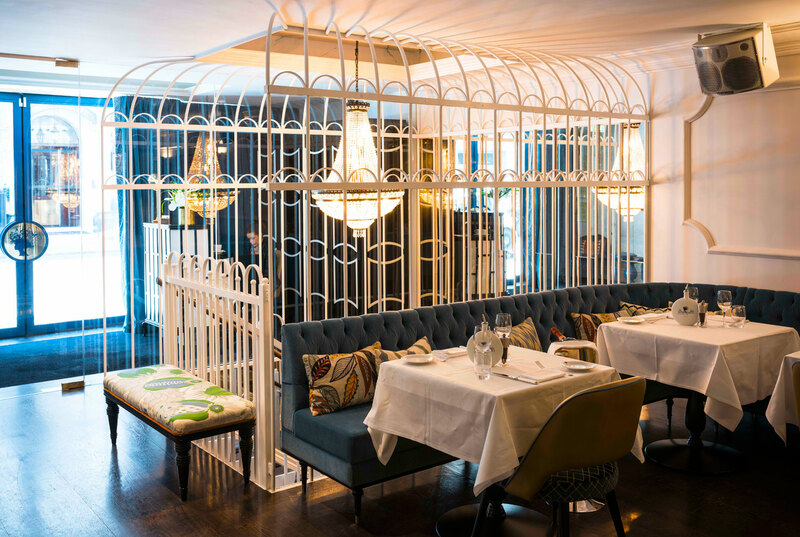 Bagatelle London unveiled its Saturday brunch offering last November, a long-established tradition within the group which started in New York. Overseeing the kitchen in the UK is Executive Chef, Dale Osborne, who brings twenty-two years of experience to Bagatelle, thanks to having worked for some of the most influential culinary establishments such as the Michelin-starred Orrery, The Wolseley, St Alban, HIX Soho, Dinner by Heston Blumenthal, Chiltern Firehouse, and most recently, Aqua Shard. The art of doing brunch is a bit different at this eatery, and seems to largely attract the trendy 30s crowd. There is a DJ providing the live entertainment, so it does get a little noisy when the restaurant fills up (there is more of a club feel from around 4pm), and secondly, the staff are dressed according to a chosen theme in line with Bagatelle’s creative Instagram hashtag, “#wtfisbagatelle”. The answer to this question on the day that we visited, was an eclectic mix of costumes, where our host was sporting a Superman outfit, and he was joined by Wonder Woman, Cleopatra, a Greek goddess, a boxer and many other characters. Previous themes have supposedly included the Game of Thrones and a day in pyjamas. The idea of this initiative is for Bagatelle to have a bit of fun alongside some great cuisine. I could see where they were coming from, but I wasn’t entirely convinced with being served by a superhero, although their approach remained very attentive and efficient throughout our meal. On to the food itself, and the sizeable brunch à la carte menu, which is divided into four main sections, is available between the hours of 12pm to 6pm, with plenty of dishes to choose from. Dietary requirements are catered for in a very limited capacity, and there is also a wine, spirits and cocktail list on offer to complement the gastronomy. From the “small plates to start” section, which ranges from crispy salmon tartare (£10) and pork belly (£10), to ceviche (£12), my eyes were drawn first to the Burrata di Puglia (£14), a long-time favourite. Although a touch on the small side and a little unimaginative, it was nevertheless very tasty, and was decorated with cherry tomato halves and a sprinkling of pine nuts, plus a dash of aged balsamic vinegar and organic olive oil. Bottles of the latter are also provided on the table to help yourself to more if you so wish. My dining partner tried the more generous, wholesome and colourful Umbrian lentil salad, which arrived with cubes of pumpkin, toasted pumpkin seeds and a light sumac vinaigrette (sumac is a dark red spice). 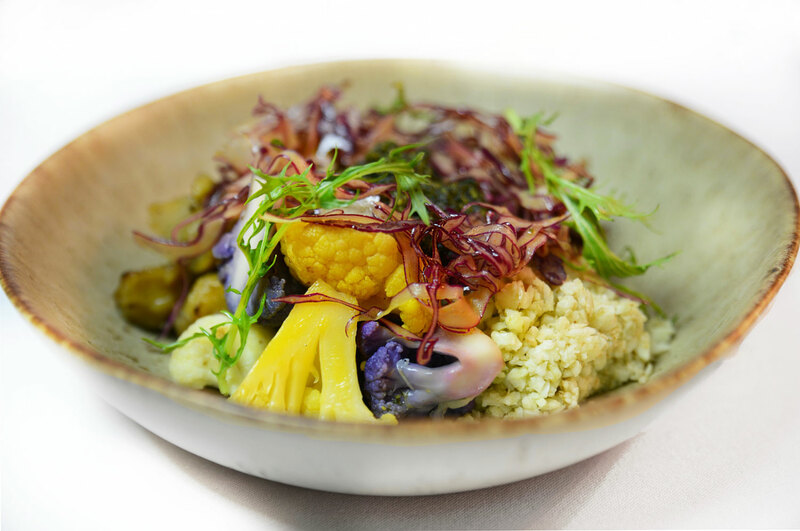 In between the starters and the “brunch favourites”, there are the “Season Paris” offerings which feature green pancakes and other options, after Bagatelle partnered at the end of last year with the Parisian Bistrot to create four signature dishes. However, we left this for later on in the meal, and my guest headed instead for a “brunch favourite” in the form of the filling avocado tartine (£16), made with smashed avocado and soft poached eggs with dark orange yolks which seeped out on to the delightfully healthy seven-grain bread. There are a few sides available, costing between £4 for eggs, and £12 for truffle fries (there’s no option of sliced fresh bread), and we decided on a portion of crunchy sweet potato fries (£8) which disappeared relatively quickly. For my “main”, I settled on the salmon poke bowl (£24), which was filled with artistically laid out rows of seaweed, tangy pickled ginger slices, cubes of soy marinated raw salmon (which were heavenly), avocado, cucumber and quinoa. It was fresh, and all of the said ingredients seemed to work perfectly together, so my bowl was cleared with ease. Other dishes that I could have tried from this part of the menu were namely French toast, Angus beef tartare, lobster eggs benedict and breaded chicken. For those who still have space left, or prefer something a little sweeter at brunch, then diners are in luck, as there are a few treats at the base of the menu, and in the aforementioned Season Paris section. From the “To share or not to share” part, where the black truffle pizza seemed to be doing a healthy level of trade on the day that we went, I courageously volunteered to have an XXL pancake (£16) to myself, which was soaked in syrup and topped with organic granola, strawberries, vanilla Chantilly and blueberries. With some light encouragement from my guest, and a cup of fresh mint tea in hand, I managed to finish it, but was utterly defeated by the end. It was delicious, and I still do not regret the attempt. My guest chose a similarly tasty and smooth chocolate and avocado-type mousse (£10), a Season Paris addition, which was composed of dates, almond milk and crushed almonds. Not one for me, but she enjoyed it. According to the Cambridge English Dictionary, the French word “bagatelle” means something, especially an amount of money, that is small and not important. However, for this restaurant, the investment in this eatery has clearly been significant, and although the cuisine is on the pricey side, and the dining experience is a little different to what you would normally expect from a conventional Saturday brunch, it’s worth every penny. Bon appetit! Bagatelle London – Where and How? Bagatelle is located at 34 Dover Street, London W1S 4NG, United Kingdom. For more information, or to make a reservation, visit www.bagatellelondon.com. See pictures of what we ate on our Instagram page: @luxuriousmagazine.